We at Revolution magazine celebrate our 10th Anniversary this year and after a decade as the leading watch industry publication in the world, we are proud to look back upon a history of what we have been able to achieve. With 15 global editions and the largest print circulation in the niche genre of luxury watches, we have continued on our mission to bring the appreciation of watch-making to a larger audience. 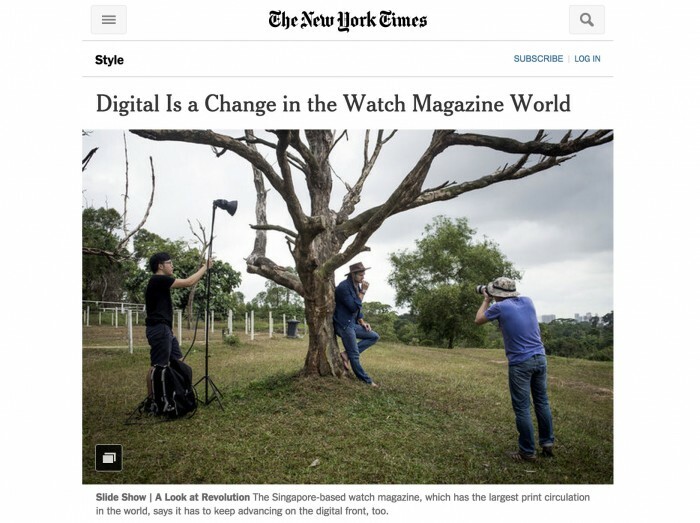 SINGAPORE — Tropical rain clouds hovered at the Bukit Timah Saddle Club as a model dressed cowboy-style thrust his wrist toward the photographer, showing off a Grande Reverso Ultra-Thin 1931 Chocolate timepiece by Jaeger-LeCoultre. As lights flashed, the model changed his expression and moved his wide-brimmed hat as if on cue — all to create a perfect pose for Revolution, the luxury watch publication with the largest print circulation in the world. To Continue, click here to see the original article.